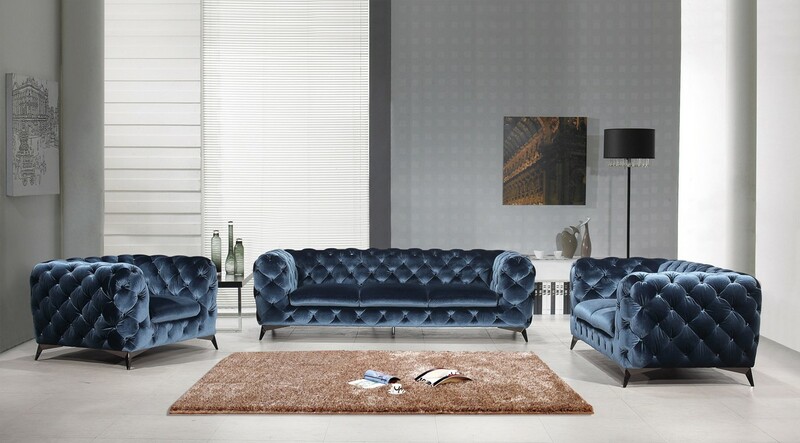 The Caroline sofa features a plush tufted design that will perfectly complement any home or office. 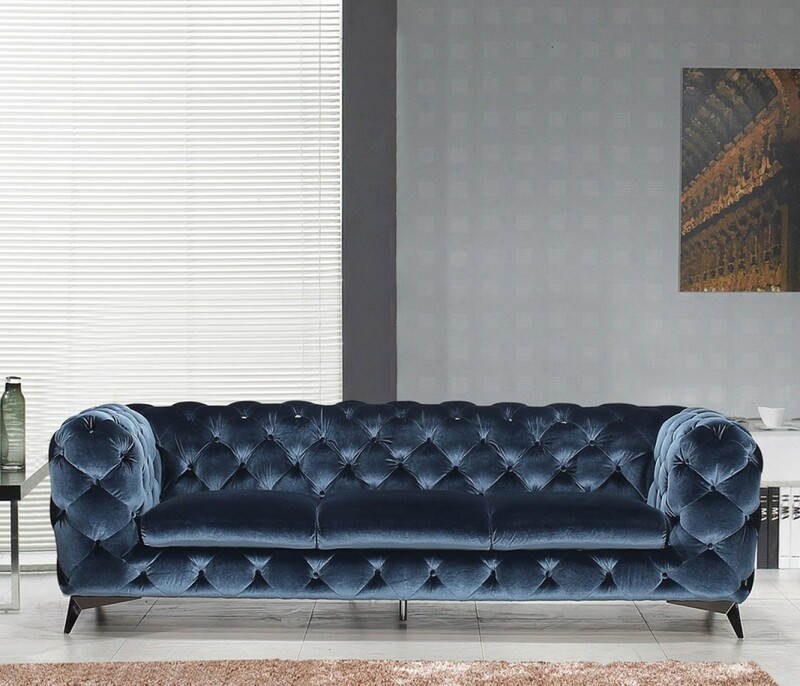 Caroline sofa features black stainless steel legs and and upholstered in velour fabric which is available in blue color. Caroline sofa has brought style to a variety of spaces; design your home or office today with this beautiful classic sofa set.